Is this the protruding camera Apple has been working on? 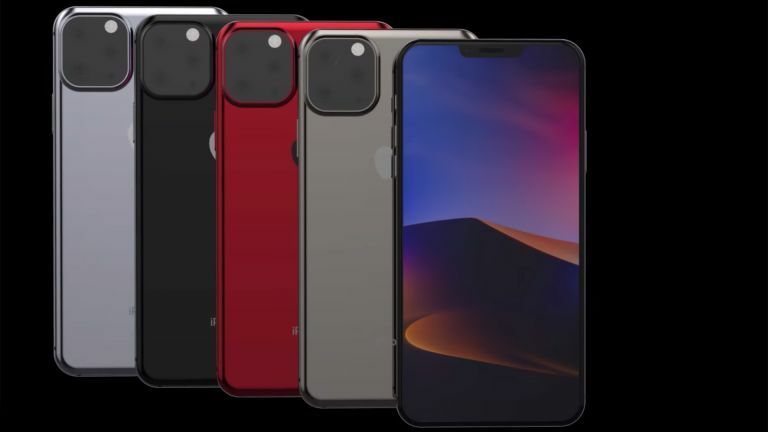 The new iPhone 11 from Apple should arrive with us this September and a new video could have just revealed what we can expect from that already much talked about triple lens rear camera. It's definitely targeting the Samsung Galaxy S10 and Huawei P30 Pro in its many lenses. The new concept video for the iPhone 11 has come our way via Concept Creator who, as ever, has stuck to the leaks so far to create a glimpse of what the new iPhone could bring us. As you can see that rear camera juts outs proudly as it will no doubt try to grab all the headlines at launch. While a triple lens camera is a nice up, by one lens over the iPhone XS and the iPhone XS Max, it won't be a big leap ahead of the competition. We've already had leaks about the Samsung Galaxy S10 and the Huawei P30 Pro potentially rocking quad cameras on the rear. This could set a new bar, presuming the rumoured five camera Nokia 9 PureView hasn't already blown everyone away by then. On the front of the iPhone 11, the render shows us the same old notch display. In reality we're expecting Apple to innovate here too, getting rid of the notch to keep up with the all-screen Android competition that's expected to start appearing early in 2019. If Apple doesn't do this it'll likely suffer, but knowing Apple it may yet take its time to catch up with the competition as it gets some more mileage out of the Face ID front-facing camera and sensor system. Apple is expected to launch the iPhone 11 in September, as usual, with a new eye-watering price tag high end, also, as ever.